Are you ever inspired by music? Recently She Reads Truth had a hymnal devotional with five of their most loved hymns. 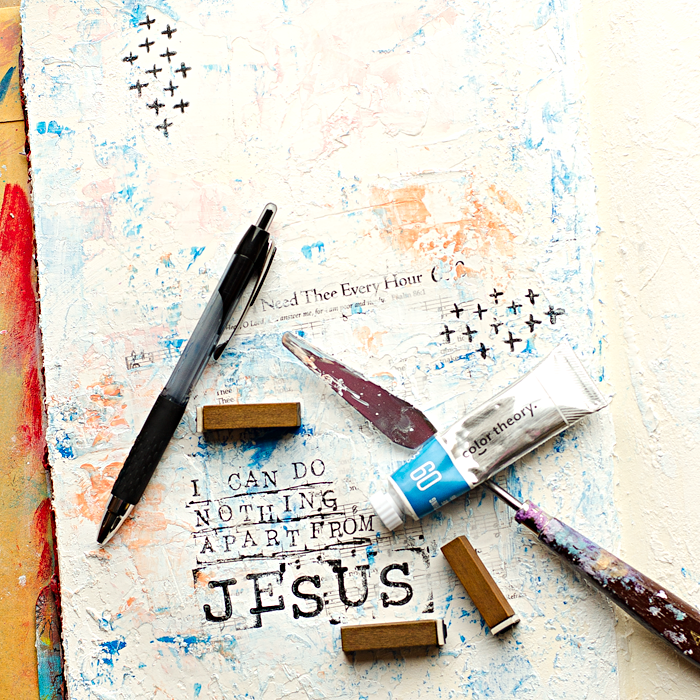 I am always inspired by music and totally went straight to my big art journal and did some art worship. I don't know about you, but I seem to resonate with music and lyrics more than any other form of worship. It's how God gifted me, and I have to have music on in my house all day long. It's the only way I can actually focus and concentrate on anything. Maybe that's why I was so moved by this devotional series. 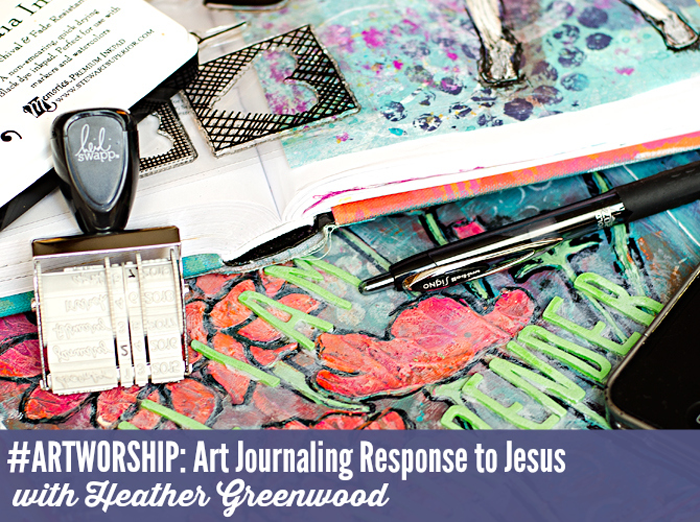 You'll see how music is a part of my art worship process in my Truth Scrap class on January 31st. I've been preparing for the class and can't wait for the big day! Yes, I'm totally nervous since it's my first video class. I'm reminded of this art journal page I created not long after I was asked to be a part of this exciting event. It's such a good reminder to me. I really should frame it. I hope you'll join us. Use code ADVENT at checkout to get an extra $20 off the already reduced price which expires 12/24.